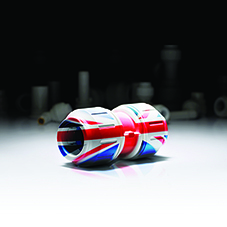 Is UFH the most effective heating source for buildings? Over the past few years, Underfloor Heating (UFH) has undergone quite a transformation. From something that was once seen as a luxury, it has grown in popularity and is now very much part of the mainstream. 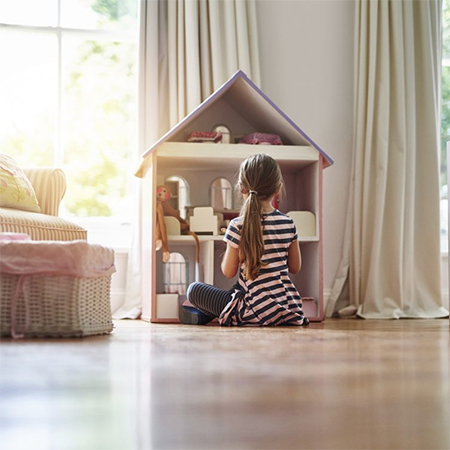 When discussing the benefits of underfloor heating, however, a lot of discussions tend to focus on the space saving and energy efficiency gains that result from using UFH over conventional radiators. 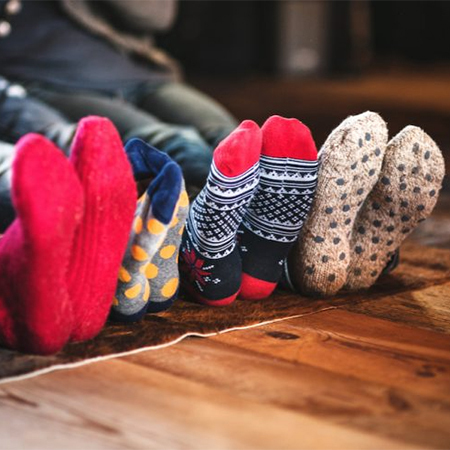 Lesser known are the scientific reasons behind the popularity of UFH and how this heating method ties in closely with the design of the human body - underfloor heating has been deliberately designed for human comfort. 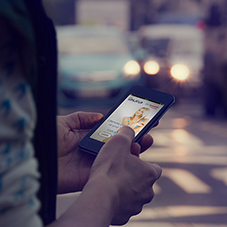 To understand why UFH is the most natural source of heating in a house, it’s important to understand how way heat is delivered and how it can affect the human body. For our senses to function most effectively, our head and face need to be uncovered since all sensory organs – eyes, nose, mouth and ears, are located in these parts of the body. The body warms from the feet upwards, keeping the head as cool as possible. Radiated heat moves in straight lines, and will only heat up surfaces that are directly exposed to it. 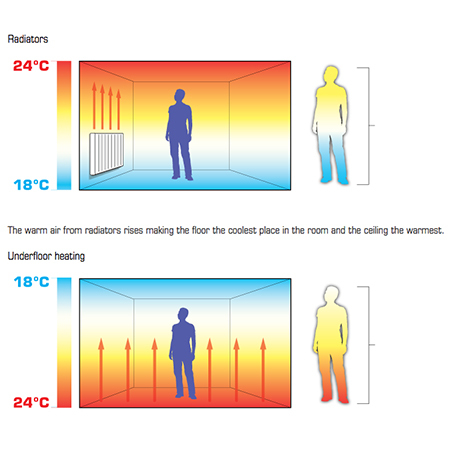 Radiators operate on the same principle. 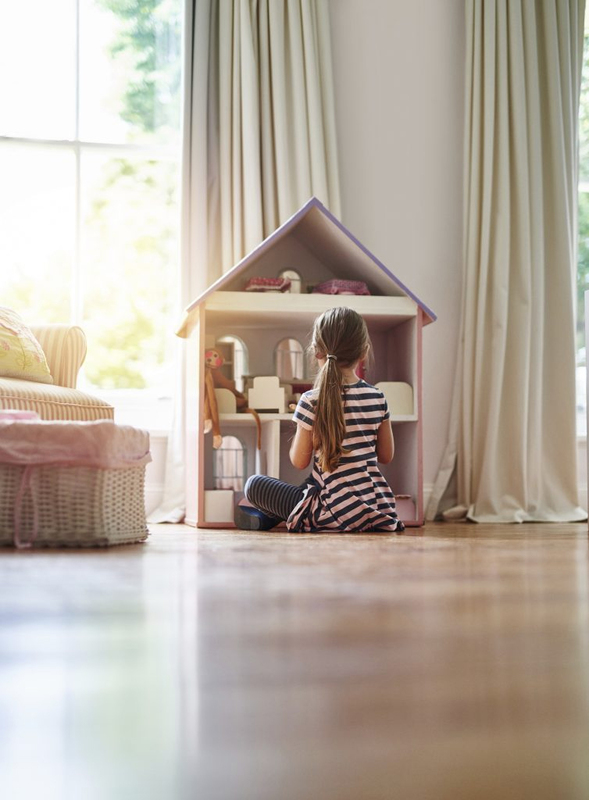 While UFH also delivers some heat by radiation, unlike traditional radiators, heat is emitted directly from the floor surface and is therefore evenly distributed across the room. This eliminates hot and cold patches, making for a more comfortable environment. Heat can also travel via conduction. The best way to witness this in action is by putting your hand close to a hot surface. You might be able to keep your hand close to the surface for quite some time, but as soon as your hand makes contact – well, you know what happens next! The same happens when cold air comes into contact with a radiator or warm floor, transferring heat into the air. There’s a common misconception that hot air rises. For hot air to rise, it would have to defy gravity, which we know is not the case. What actually happens is that heated air becomes less dense and molecules move further apart. Whereas cold air molecules are close together giving it more mass than warm air. As a result, the cold dense air is pulled down by gravity, displacing the warm air upwards. With radiators, the cold dense air is always closer to ground level, while the less dense warm air sits at ceiling height. 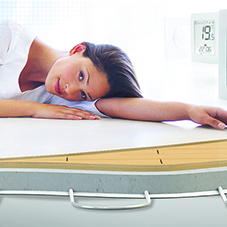 Whereas with UFH the warmest part of the room is at the heated floor level, just as the human body would want it to be. Understanding how the body reacts to heat explains why UFH is such a natural and efficient form of heating. 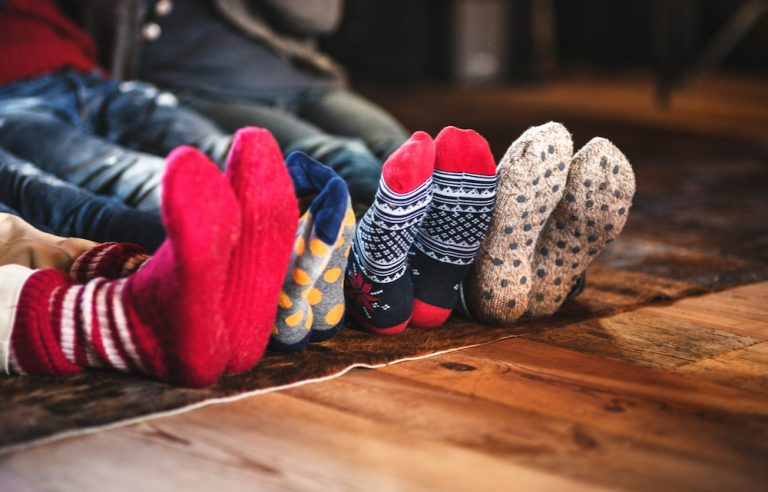 Whilst underfloor heating can increase the value of a building and free up a lot more room than other heating methods, it always pays to advise customers on why it is also a more efficient heating source. When this is understood by installers and homeowners alike, they can work together to find ways to make UFH even more efficient.